Lost is about waking up in the middle of nowhere, alone. It's a short story. I intended it to take no more than ten or fifteen minutes for a full playthrough. It really is a short story. I came up with the plot, more or less, in a day; the mod itself has been continouously touched up for the past few years. Lost was part FRED exercise, part hobby, part relaxing pastime. I hope all enjoy it as much as I enjoyed putting it together. I'd recommend not reading these over until you've finished playing. Credits are also located in 'credits.txt' in the mod files. HLP user Millbear (Simon) is the talent behind the superb voice clips used in the final mission. Many thanks for his endless patience and professionalism! Akrotiri: Bobbau, Esarai, FSF, Freespaceking. Malia: Original model by the Inferno team, was upgraded by the ASW team. Angel: Venom (Nico), with conversion help from Woomeister, HTL model by Vasudan Admiral. HUD and icons came from ASW. Custom HUD sounds are also from ASW. Loading animation is from ASW. Other interface art was made for me by Spoon. The Defender (Pharnec) and Intruder are from ASW. I don't know who is responsible for them, but thank you whoever you are. The scary rise sound effect from the intro scene is from the game NaissanceE. Not a game I recommend playing, unless you crave brutalist architectural nightmares. 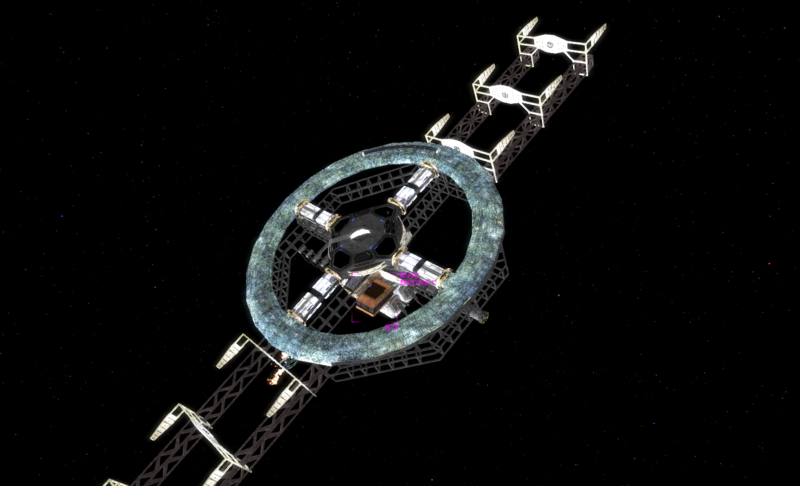 HomePlanet_Amb, AD_Battle3, AD_Victory: From the Ancient-Shivan War mod, these are uncredited so I'm not sure who made them. The_White, Gentle, Gears, Not_Forgotten: From the Kairo Arranged Soundtrack (it's the indie game, not the movie), by Bartosz Szturgiewicz. Used under the Creative Commons license. Massive thanks to these two totally awesome dudes and their awesome feedback for bringing my mod from a very rough draft to a possibly-release-worthy state! General thanks to everyone who answered my innumerable questions through the forums. Even more thanks to anyone who worked on Ancient-Shivan War. I'd like to give a shoutout: Most of the music in this mod is taken from the indie game Kairo. It's a pretty awesome game, with a masterfully crafted ambient drone soundtrack by Bartosz Szturgiewicz (goes under the stage name Wounds). The tracks I included are clips, not full tracks, and there are many more to be found in the full OST. If you liked the music, consider giving the album a buy! On the Bandcamp page linked above, Bartosz specifically permits reuse with credit, under the Creative Commons License. Let the bug reports... BEGIN!!! I want to take this chance to thank my two Beta Testers, Cazao and Xenocartographer. They were totally great, sending me way more feedback than I had thought possible and helping me to make massive changes. I can't believe that I actually thought it was ready to release before beta-testing. Thanks guys, you get kudos! I will mark this down as "play after my release"
You mean The Lost Generation, right? Somekind of ancient dream? Tenebra-styled set of missions played completly inside of mind of some ancient individual? I really have no idea what exactly I played, but I like mysterious feel and the whole wtf vibe from it . Open each mission, than Background window and enter "starfield.pof" in skybox section. How many times did you try the last mission? Thanks for the tip, I didn't know that skyboxes were included in the MediaVP's by default. I thought you had to get custom made ones. I'll add them and update the download link. The Akrotiri should have come out of the Knossos. I can neither confirm nor deny that there might possibly be a chance of there being more than meets the eye in that mission. Have you tried disobeying? I've updated the download link with 1.1! I don't think the opening cutscene added a great deal - especially with the sudden cut to the pilot select screen. The Main menu looks nice, however. The font is from BP, correct? It's lovely and nice on the eyes. Is there a reason for the ship entries being cleared, but the weapons and intel not being cleared? As I said, i'm not really a fan of these kinds of things, but i'm not sure if this is an oversight or supposed to add to the mindgames. The loading screen looks nice. Now i'm interested in learning how to make a custom one. Well, the first mission is interesting. I spammed Shift-O for a bit trying to get the hud to work and eventually realized it was disabled. The debris from the start of the second mission is from an Elysium and TAC containers, but a Faustus warped out last mission. Is that a plot point, or something? Continuing with the second mission, I found some very...interesting interactions when I tried to play with the interplanetary bovines. Perhaps making them invincible/unable to be moved/clip through wouldn't be a bad idea. After finally managing to make my spaceship an hero to free myself from the steel prison, I attempted the second mission again. I scanned the things, then went into Jump Node 0 - Are they meant to be called Jump Node 0 and Jump Node 1? - When leaving Jump Node 0, the message "Jump Now" dissapears, but I am still able to warp. I'm not sure if that's intentional or not. Moving to mission 3 - it seems pretty straightforward. However, the "jump now" feature is still there - If I move out of the jump node, I can still jump. Are you supposed to be able to take down the shivan fighters? My weapons seem pretty weak, and despite giving it a few goes I haven't been able to (But then again, i'm a pretty bad player). If I afterburn to the node, I can jump out before the "desperate" is destroyed (which seems to be the departure cue for the shivan fighters) - is that also intended? 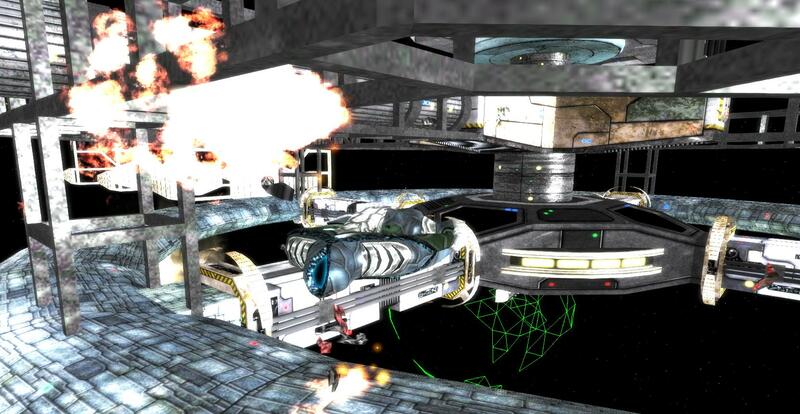 Gee, no shields, debris field, bad weapons, and a dragon behind you? After 3 non-combat missions that's kind of evil, man. After slogging out the gauntlet...Well, I kinda felt like shooting stuff still, so I shot the sentry. And then the Ravana appeared Lion's-den style. Unfortunately I have hit my burners too many times for this to be a big surprise, so it didn't catch me off guard. Nice try though! I'm not sure if it's linked to blowing up the sentry gun or approaching the jump note, but i'll continue regardless and come back later. I booted up the final mission and saw some neutral IFF fighters in the distance. I went over and tried to ram them to death, but before I could succeed everything exploded and the...GTC Orff warped in? How did it get here? So I rebooted it, and then the Akrotiri warped out in front of my face at ludicrous speed, smacking me in the face and flinging me across the map. I'll have to wait more then 15 minutes to change my shorts, since now i'm a stain on the edge of my fighter's cockpit. I went back to mission 4, and turns out you can just afterburn right through. Don't need to kill any shivans or anything, or even dodge the Ravana if you burn straight ahead. I'm not sure what the significance of the little turret is - I must have destroyed it just as I got within distance of the portal the first time around. Overall, this was a pretty great playthrough, but probably not in the way you intended it to be - I had more fun in a JAD-esque way then in an atmospheric kind of way. It's kind of hard to quote your whole post Neptune, so I'll just give general responses. Thanks for playing! Yes, the Faustus is related to an important plot point. My intention was that you're supposed to run when the Shivans show up, not fight. The missions are supposed to be runs from the start, just shoot to the node. The interplanetary bovines is a reference to a comment that Axem made about my mod. 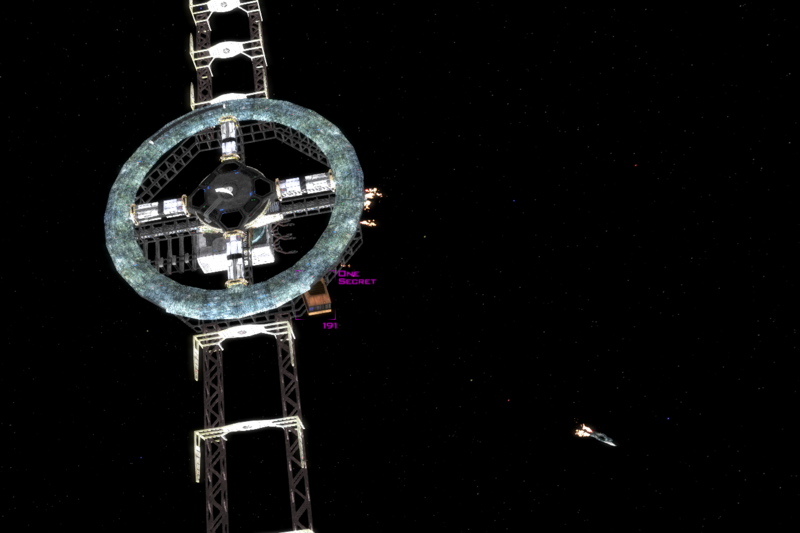 I wasn't intending the player to interact much with the station, so if you got stuck then... you got stuck. The font I used for the buttons is actually called TradeMarker Light. I've used it for creative projects ever since I saw how it was used in Lego's Bionicle theme. The font I used for the title is called Goudy Trajan, also having been used in Bionicle. The opening movie was never intended to be much. It took me all of ten minutes to throw together in windows movie maker. I mostly did it for fun, and I was bothered by how the default cutscene had nothing to do with the mod. The Akrotiri jumping on top of you didn't happen to me, it's supposed to jump in at the Knossos. Thanks for telling me about it, I'll see if anyone else has the problem and fix it if so. And just a final note - please remember that this is my first mod. I'm just an amateur, and I had to ask like a hundred questions on the forums just to get it to work as it did. I'm no Axem, and at the end of the day Lost was largely a FREDing exercise. No problem. Despite this kind of stuff not being my cup of tea - as I mentioned, I quite enjoyed it. Hey, so am I! You did a great job, and I wanted to present my playthrough in a slightly different way with more then just the usual "Yeah it was good." Right - I mean, I'm glad you enjoyed it even if it was in a JAD-ish way. Did I see everything that has been in these mere 5 missions by burning through first 4 ones and looking at both endings of no. 5? Now, should I go for an over-interpretation? Is it somehow related to purpose of all the events of Freespace? Is the science ship a symbol of humanity tinkering with something they shouldn't tinker with? Is the freighter a symbol of somehow awakening the Destroyers by us and getting kicked by them hard? ...did the Faustus awaken the player's avatar? Is Orff a symbol of humanity recovering from the second Incursion? Would this mean that Shivans have been somehow stopped by the Child refusing to release "it"? ... is all of this somehow related to BP's Great Darkness? But if I told you the answers it would ruin the fun. I guess I can say that you don't need to worry about reading too much into it. I think the truth is less complicated than you may be thinking. GTI does have a habit of tinkering with things that they shouldn't and waking up things that were better left asleep. Just sayin'. Well, so I think I'll get it a bit simpler. Or the GTI awakened it and the player is just there, witnessing the events, making decisions. Well, do you want the truth? Thanks for playing, by the way, glad you liked it. Perhaps if not here (if you don't want to spoil it for someone) than just PM me with that?